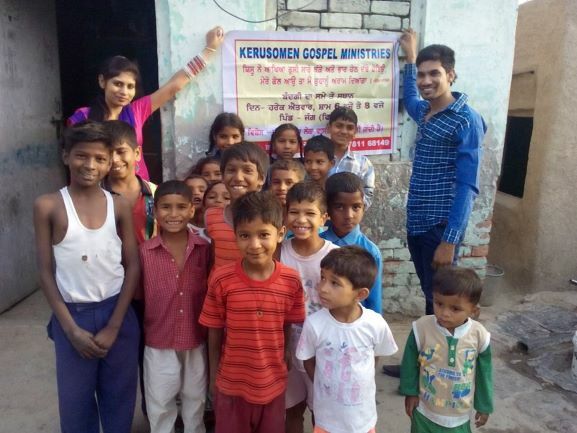 Currently, Kerusomen has 42 workers of God, making and mobilizing disciples of Christ, in six different states of India. At the bottom of this page there are links to articles on each area of operation. But, first, here's a peek at the Kerusomen church planting team's training and responsibilities. Kerusomen Pastors are, in essence, national missionaries who share the love of Jesus, disciple new believers, and help train others to lead and do the same. Pastor training is a 12 course syllabus, relevant for both spiritual and church growth. Course materials used are a combination of Leecy Barnett's book, 'Everything New' , Timothy Initiative of Florida (view video below), and Kerusomen Foundation's library resources. Continuing education includes regular area, regional and statewide conference gatherings for teaching, accountability, worship and prayer. Pastor Saha puts it this way: 'We preach Christ the crucified". Disciples Making Disciples from The Timothy Initiative on Vimeo. Kerusomen Area Coordinators are pastors who coordinate church plantings in their region, orchestrate church projects such as evangelism and discipleship initiatives, pastor training, and widows care, direct communications from KGM headquarters to the local pastors of village churches, and mentor and train pastors in spiritual and leadership growth. AC's also advise, give guidance, and help village pastors with the day to day challenges they face including legal, administrative and other matters. 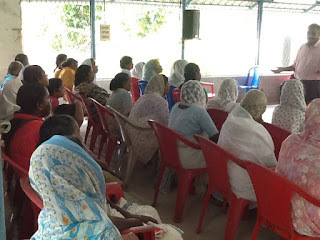 Field Staff provide practical education to women in the villages and rural areas such as classes in health and hygiene. They also conduct self-help groups to enhance financial stability and empower local women to launch a small business enterprise. These initiatives are very successful in growing the body of Christ, as well. By showing the love of Christ through service, in these tangible ways, relationships are formed and opportunities to share the Gospel arise naturally and frequently. 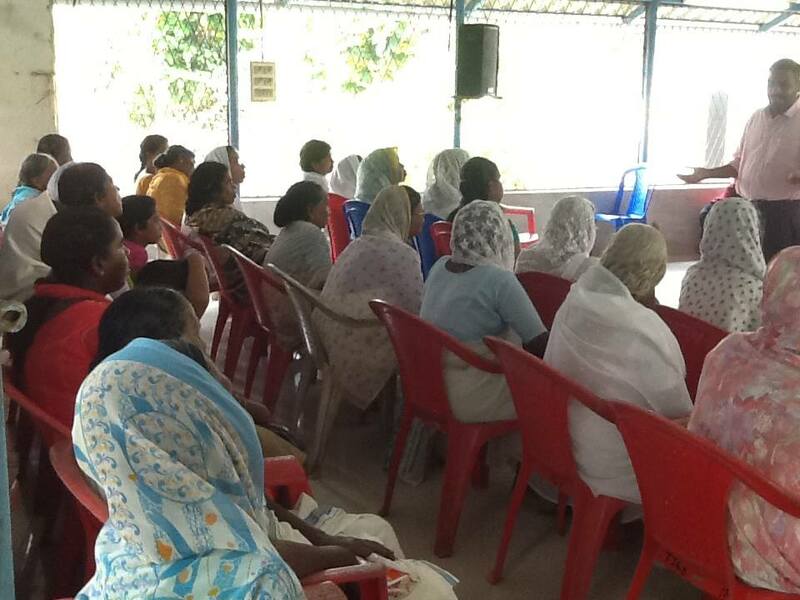 Field staff are supervised by Anju Sahaydas Simon, co-founder of Kerusomen Foundation. Office Staff handle all administrative tasks of Kerusomen Foundation including accounting, reporting, printing church and training materials, and directing communications to and from all the churches. They also collect prayer requests and pray for the needs of all the churches. English classes are offered at some locations. English classes have two age groups 6-14 and 15-20. Along with English Grammar books, students learn grammatical construction using Bible stories and examples with moral values. The English lessons are 3 hours a week, year round. Parents of all religious backgrounds want their children to learn English. Both of these successful programs are focused on serving first and building relationships that lead to opportunities to share Jesus. 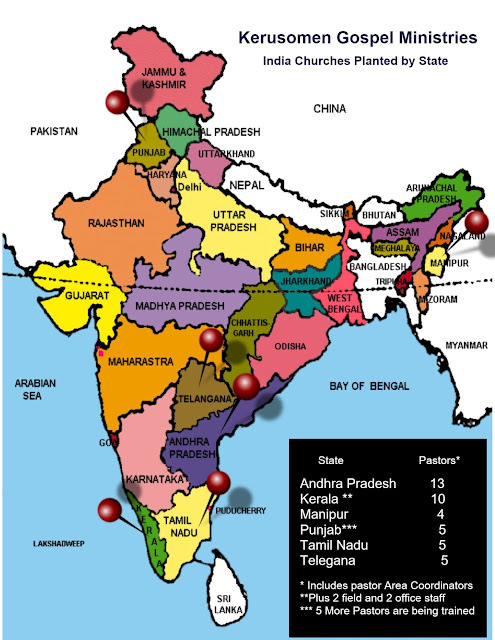 To "visit" each state and experience the rich culture and history of our Indian brothers and sisters in Christ and learn more about our churches in each area, click the picture links below. The article on Punjab is active. Andhra Pradesh will be active in May. Thereafter, we will add one article every month so keep checking back or contact us and we will notify you when a new piece is published.